In light of recent studies that have scientifically linked heavy metal accumulation with the development of diabetes and other chronic diseases, Assure A Smile is raising awareness for heavy metal toxicity, testing, and treatment options in Miami. Dr. Herrmann is a certified nutritionist, holistic health expert, and has personal experience with overcoming heavy metal poisoning from mercury. In this interview with the International Academy of Oral Medicine and Toxicology (IAOMT), Dr. Herrmann recalls how a personal experience with heavy metal poisoning became the inspiration to develop a new, patient-focused approach to dentistry that emphasizes holistic health in addition to oral wellness. “You know, it’s interesting how I became aware of the dangers of mercury fillings,” Dr. Herrmann recalls. “It was actually a personal experience. I wound up becoming mercury toxic myself. My wife is the one who diagnosed me. Dr. Herrmann visited a second doctor. As a holistic specialist, the new physician understood how Dr. Herrmann’s occupation was the source of the problem. After years of providing safe mercury filling removal for patients in Miami, Dr. Herrmann had become ill from secondhand exposure to the dangerous neurotoxin. “And that’s where my light bulb started to go on,” recalls Dr. Herrmann. “You need a gas mask […] to protect yourself, your staff, and your patient.” Since then, Assure A Smile has continued to refine the process of identifying heavy metal poisoning in patients while helping them find effective medical treatment to restore physical, mental, and emotional health. “Heavy metals appear to cause insulin resistance and disrupt normal glucose regulation, which can play a significant role in the development of diabetes,” reports Dr. Herrmann in reference to a leading study on heavy metal accumulation and diabetes (i). In response, Dr. Herrmann recommends patients take a few precautions to proactively reduce exposure to heavy metals and the serious side effects they cause. To start, Dr. Herrmann recommends patients understand how researchers have linked 3 specific heavy metals with the onset of diabetes. According to the study cited above, the primary heavy metals to know are arsenic, cadmium, and mercury. Researchers note that arsenic appears to cause insulin resistance, cadmium inhibits insulin release, and mercury causes severe body damage that can impair normal glucose regulation. Alarmingly, a majority of Americans are at risk for toxic mercury exposure via silver dental amalgam that traditional dentists still use to fill cavities and perform other restorative procedures. 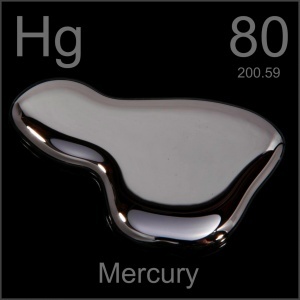 Mercury filling removal and replacement is a vital precaution that protects oneself against heavy metal poisoning, severe neurological damage, and other serious health issues, according to Dr. Herrmann. For patients who have silver fillings, Assure A Smile specializes in safe and environmentally responsible mercury filling removal and disposal. Fillings are replaced with safe, bio-compatible white composites to eliminate the risk of heavy metal exposure from dental work. Finally, Dr. Herrmann says the best way to prevent heavy metal poisoning from causing serious illness is to proactively take a heavy metal toxicity test with a local health professional. “Early detection is the key to effective treatment and disease prevention,” explains Dr. Herrmann. Are You at Risk for Heavy Metal Poisoning? Since 1989, Miami families have trusted Assure A Smile for safe, holistic care that improves oral health and total body wellness. To learn if you are at risk for heavy metal poisoning from mercury fillings or exposure to environmental toxins, contact Assure A Smile at 305-274-0047. (i) Heavy Metals, Islet Function, and Diabetes [PDF]. Lands Bioscience. Accessed May 6th, 2014. (ii) Image courtesy of Physio-Pedia. Accessed May 13th, 2014.